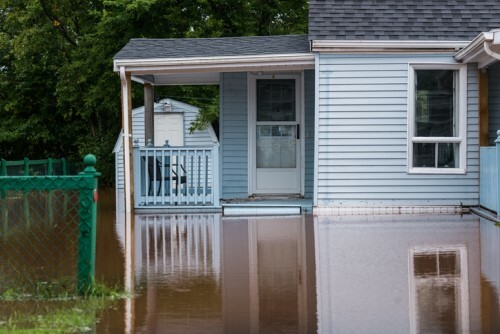 The Canadian Standards Association (CSA) has published a new guideline that advises on basement flood protection and risk reduction. The first edition of the CSA Z800 guideline was created to assist stakeholders in the mitigation of basement flood risk for both new and existing National Building Code of Canada (NBCC) Part 9 residential buildings, a statement on the CSA website read. ConstructConnect reported that the CSA document was published earlier this month, August 02. CSA Z800 tackles measures that reduce basement flooding risk, as well as mitigate the adverse effects of water damage on property, public safety and public health during flood events. The guideline covers existing, new, rebuilt and renovated houses in rural and urban settings. Flood hazards addressed by the guideline include overland flooding (resulting from precipitation events), storm and sanitary sewer backwater, infiltration flooding, plumbing and drainage failures, as well as flooding associated with the improper installation of basement flood risk-reduction technologies. Provisions in the document are subject to existing codes and standards that are applicable in relevant jurisdictions, CSA said. Contributors to CSA Z800 include the Institute for Catastrophic Loss Reduction (ICLR), Norton Engineering, and the Intact Centre for Climate Change Adaptation. The document has been developed in compliance with Standards Council of Canada requirements for National Standards of Canada, a statement from CSA read. According to the CSA, the creation of the guideline was “motivated both by current basement flood risk and by the potential for increased risk in many regions of Canada under changing climate conditions.” The association added that it expects the document to continue to evolve as new technologies, information, and new building code practices are developed.